About 30 residents of Lawas started a blockade from 8.00am this morning and stopped about 50 workers of the Sabah-Sarawak Gas Pipeline project from passing through to work. Their banners say they want their NCR land recognised and demand that section 5 of the Land Code be amended to remove the burden of prove on ownership from the owners as provided currently. The over 500km gas pipeline has caused a number of blockades so far from traditonal land owners whose land lands have been encroached by the pipeline without any consultation. 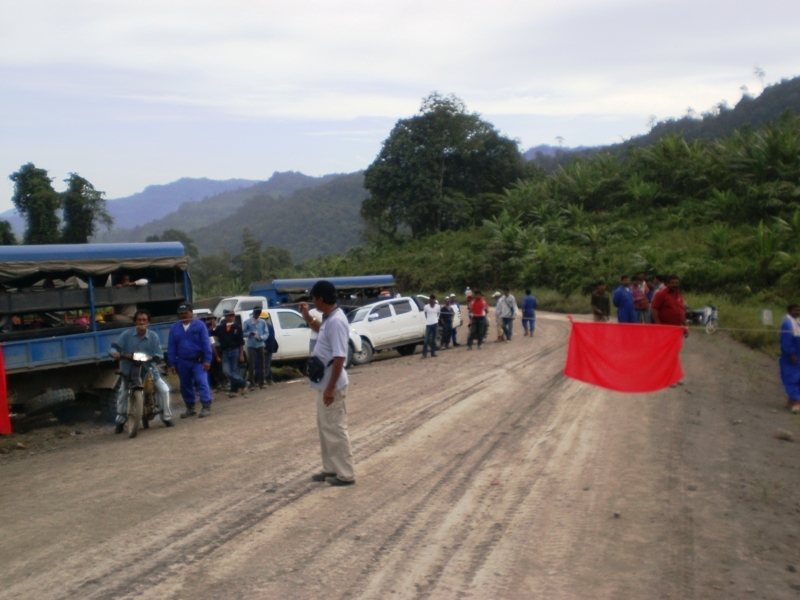 Previously blockades had been set up at Long Rusina, along the same road out of Lawas town, and also in Ulu Baram and Ulu Limbang. 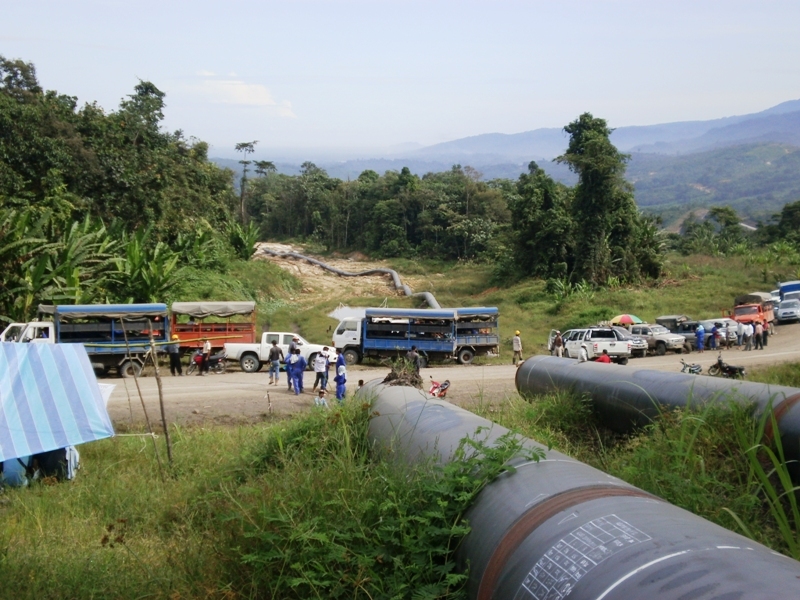 Road block to stop gas pipeline workers started this morning from 8.00am at 15 km out of Lawas town.